The firm's move to single P&L brings upgraded roles and inclusion in leadership teams. NEW YORK: MSLGroup is hiring and promoting employees in the wake of its recently announced move to a single P&L, the agency announced Friday. The changes were announced internally just before Labor Day. Along with personnel moves, MSLGroup is moving to one P&L - a change many agencies have made in order to streamline workflows and remove internal silos. Along with assuming new roles, some staffers have also been named to one of two newly formed leadership teams: a seven-person U.S. executive team and a 22-person U.S. leadership team. The latter includes the executive team and all U.S. practice and sector leads, as well as other senior agency leaders. Chris Arco was hired for the newly created U.S. finance director position. According to an MSL statement, Arco was previously SVP and director of finance at FCB Health. He will manage finances at MSL and oversee the P&L transformation. Arco reports to U.S. CEO Ron Guirguis and is a member of MSL’s new U.S. executive team. Promotions at the firm are as follows: Pattie Hallock, formerly New York consumer marketing practice director, was upped to New York office lead, a role the agency hasn’t had for several years, according to an MSL spokesman. Additionally, Eileen Ziesemer, formerly SVP and consumer practice lead in Chicago, is now consumer practice lead for the U.S.; Jim Weinrebe, formerly EVP and health practice lead in Boston, is now health sector lead for the U.S.; Joe Crisci moves to U.S. crisis lead from his previous role as SVP of corporate and public affairs; Brian Burgess, co-lead of the agency’s global employee practice as well as corporate practice in New York, has been named U.S. corporate practice lead; and Mercedes Carrasco, formerly technology sector lead in Boston, is now MSLGroup’s tech lead for the U.S. Kim McCrossen, formerly the Boston media lead, now holds the position for the U.S.
Ziesemer, Hallock, Weinrebe, Crisci, Burgess, Carrasco, and McCrossen are all on MSLGroup’s U.S. leadership team. All of them report to newly named U.S. COO Danielle Wuschke, except Hallock who reports to chief integration officer Amy Cheronis. According to Cheronis, MSL is hoping that the P&L change and the personnel moves will free up employees to focus on their talents rather than attending to agency housekeeping chores. "I think it’s the opportunity to sort of streamline operations and have fewer people working on the backend of the business and free people like me to go out, meet clients, and grow the business," she said. "It emphasizes our capabilities over the machinations of running an office." 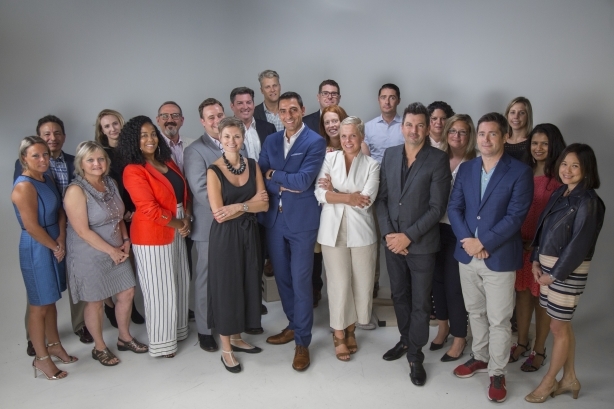 MSL also named Vincent Dente as executive creative director. Dente will be accessing talent from other Publicis agencies and all MSL creatives report to Dente. He reports to Guirguis and is on the U.S. executive team.